Hooray for the red, white and blue! 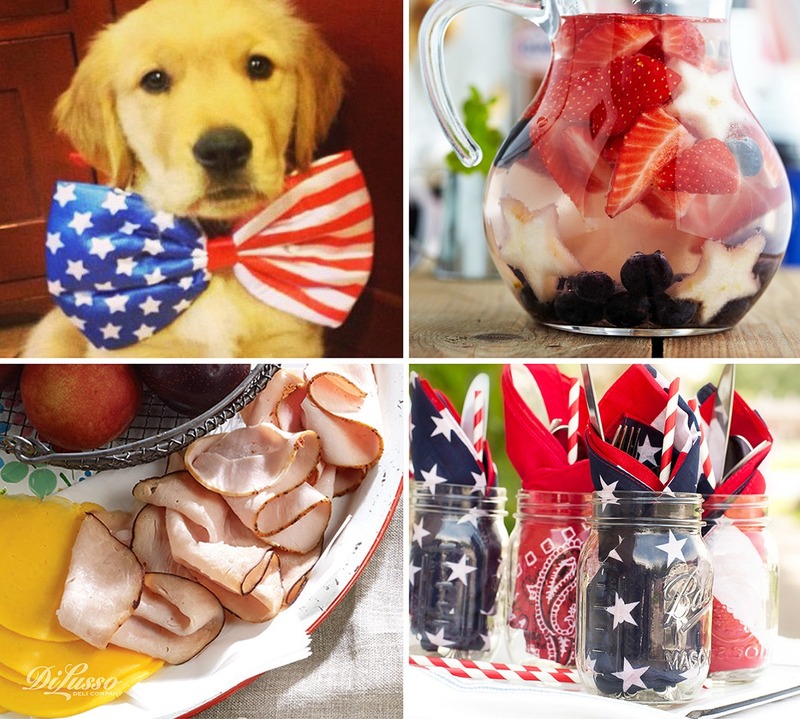 The Fourth of July is such a fabulous day to celebrate freedom, friends and food. It’s a day of spectacular traditions, when the “thwack” of ball hitting bat, the hum of lawnmowers and the smell of backyard barbeques fill the whole star-spangled neighborhood. An All-American celebration is surely in order, and we have ideas for everything from parade-watching to fireworks and everything in between. 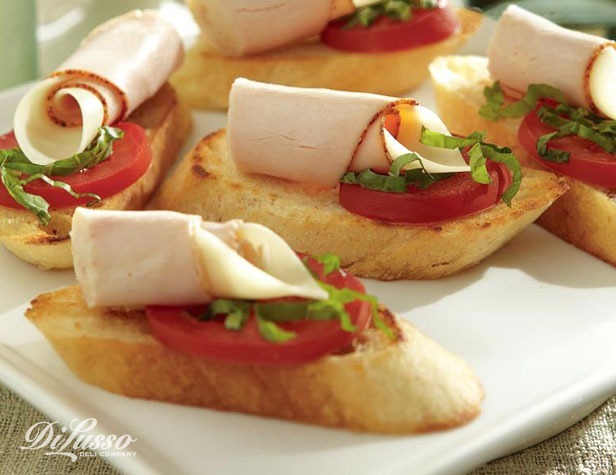 A combination of traditional must-haves—like baked beans and potato salad—along with some new classics like simple yet delectable Turkey Bruschetta made with DI LUSSO® Sun Dried Tomato Turkey and mozzarella cheese, will make everyone feel patriotic. 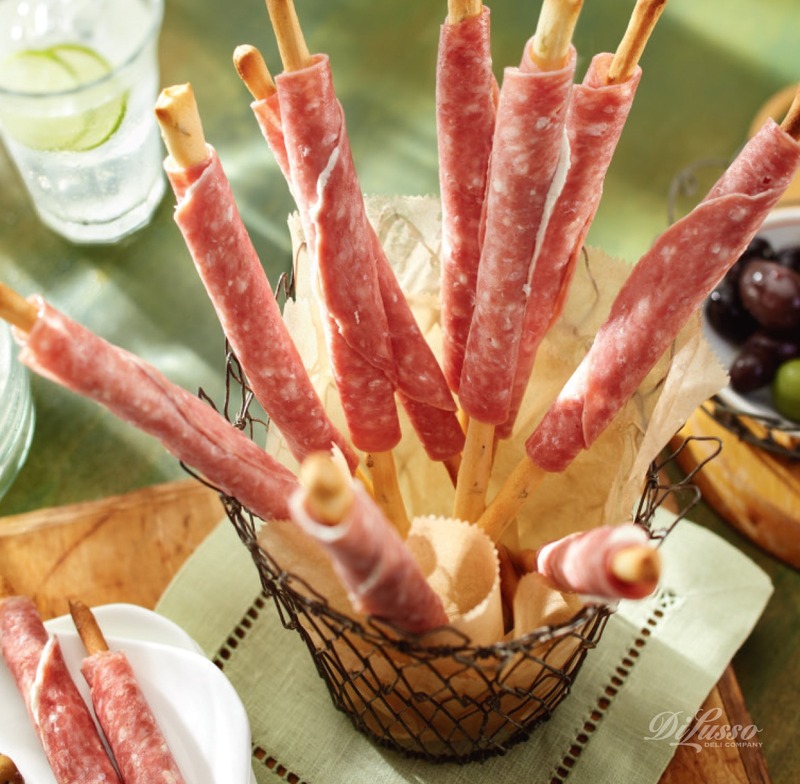 Grissini Genoa Breadsticks make another party-ready snack that couldn’t be easier to prepare—just spread cream cheese on thin crunchy breadsticks and wrap a slice of DI LUSSO® Genoa Salami. 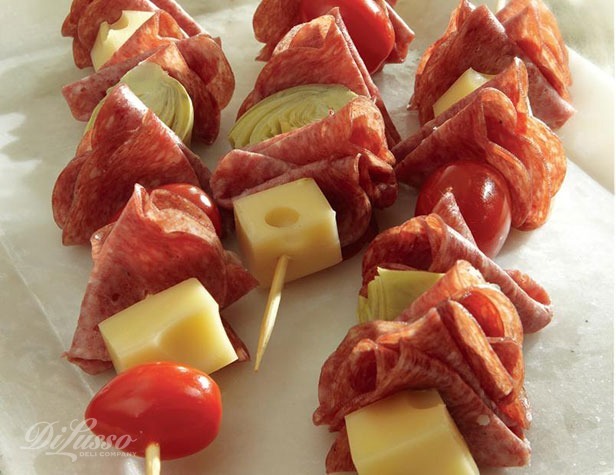 Antipasto Skewers are fun and festive, too, made with zesty DI LUSSO® Hard Salami and Swiss Cheese, cherry tomatoes and marinated artichoke hearts. Assemble a variety of All-American sandwiches filled with DI LUSSO® meats and cheeses and all the fixin’s, and cut them into star shapes with a cookie cutter. Pile onto a platter and let guests help themselves. Adult beverages can be equally simple: vodka and lemonade or Sangria seem summertime patriotic.-themed to us, as does root beer for the kids. Put together a fruit salad of strawberries and/or raspberries and blueberries and/or blackberries for a gorgeous nod to the flag. A simple batch of brownies dusted with powdered sugar and adorned with tiny toothpick flags would be a perfect dessert. For the kids, red, white and blue frozen pops are just right for the day. If you’re lucky enough to have a fireworks show nearby, enjoy every “ooh” and “aah” moment. Or simply listen to them going off in the distance and reflect upon the day, its meaning, and how fortunate we are to live in the land of the free.